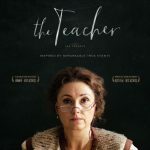 Set in Bratislava in 1983, when Czechoslovakia was under Communist rule, the movie centers on a new teacher, Maria Drazdechova (Zuzana Maurery), who, upon meeting her students, asks for their parents’ lines of work. Using the children’s grades as leverage, Maria plans to blackmail the parents into favours. These range from the menial (fixing her washing machine) to the potentially ruinous (smuggling a cake to Moscow by plane, which could cost a father who works at the airport his job). When Maria backs down on the cake-smuggling request, Marek (Csongor Kassai), the airport accountant, is so relieved that he offers to drive her to her country cottage, seemingly oblivious that he’s being pressed into a different kind of service.